Some video games offer an experience so unique, different and impactful that they end up being forever etched into the player's mind, while so many others are generally largely forgotten over time. 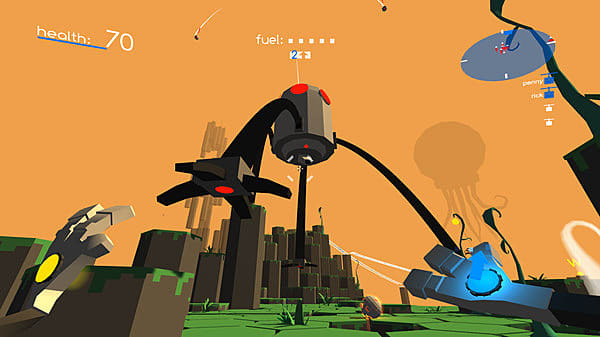 Indie FPS 3D platformer Cloudbase Prime is one such game. Developed almost entirely by Tyrus Peace under Floating Island Games, it was originally released on Steam Early Access. But as of July 26th, the game received its 1.0 release. Despite this being my third time to playing the game, its great gameplay, good humor, beautiful visuals, and excellent plot have made it been just as enjoyable this go round as it was the very first time. You take on the role of a gas mine worker, where you are situated inside of a robot controlled with your keyboard and mouse. Upon arriving to begin your shift, the zone comes under attack by robots with corrupted programming. As you battle your way through the various sectors and hordes of corrupt robots, you eventually find yourself falling into the depths below. You land on an unknown platform far different from the one above and you begin your mission to find a way back home and uncover the mystery and agenda of these once friendly robots. 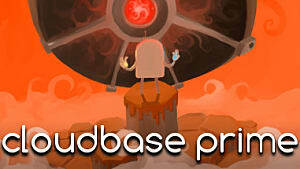 The plot to Cloudbase Prime is an intriguing one that is well written and nicely paced. It keeps you gripped from the very beginning right to the end -- especially because of the well-designed and well-written characters you meet along your journey, whose dialogue is often comical. The fix bots in particular are fun to interact with. I love how the main characters, that of the robot you are controlling and of the giant one you ally with throughout the game, both have their own strengths and weaknesses, which are revealed as events unfold. Near the end of the game, the plot really kicks it up a few gears to give the player one hell of a twist -- and one of the most memorable finales of a video game in recent memory. It is such a well-crafted story, and I hope a lot more people will experience it now that the game has officially released. 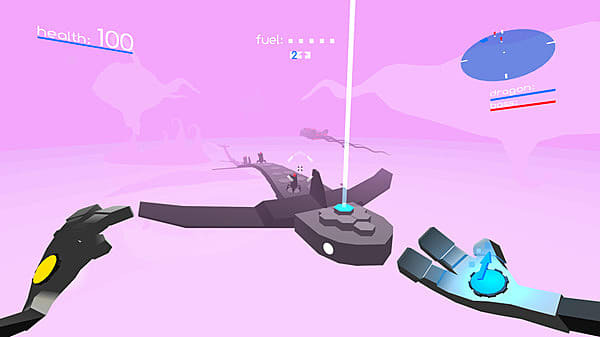 The gameplay in Cloudbase Prime is a blend of 3D platforming and FPS action. 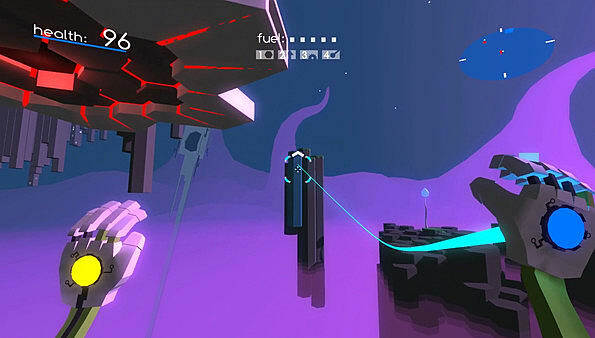 You traverse the levels and move from platform to platform by launching yourself into the air and gliding across using your architect ability, which allows you to move the terrain up and down as you please. As you progress through the levels you need to collect fix bots in order to unlock the later levels. 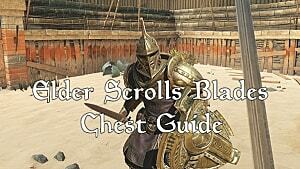 These are either found throughout certain levels or obtained by completing specific objective levels. In the levels where you need to search for the fix bots, they act as check points along with restoring your health upon collecting them. 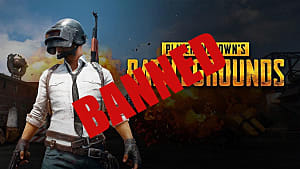 While this may sound arduous, it is quite simple as the location of the fix bots is marked on the screen with a letter representing their name. All you need to do is head in the direction of their letter to find them. 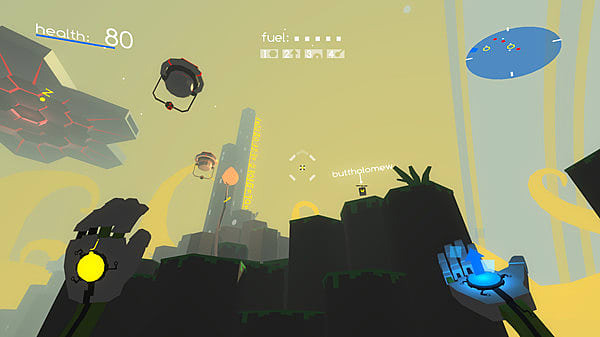 It keeps the gameplay from slowing down, while also preventing the player getting stuck and frustrated in their search. As for the additional game modes such as Score Attack, they are a fun distraction to change up the gameplay from time to time to stop it from becoming monotonous. 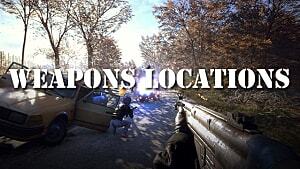 Along with the fix bots, there are also new weapons and abilities to be found hidden throughout certain levels. These include Homing Shot that allows you to lock on to multiple enemies or a single enemy several times, Combust Ammo that gives you explosive shots and Holotile where you can create a shield to block incoming bullets and rockets, just to name a few. While the new weapons are more powerful variations of the standard shot, abilities work a bit differently. In order to use them, you require fuel that is acquired by launching enemies into the air and killing them while still airborne. How much fuel is needed for abilities depends on which one you use. They really add a whole new level of depth to the game and are all useful in different circumstances. 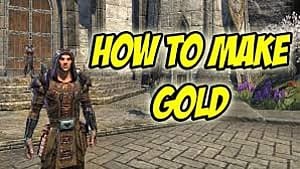 All the weapons and abilities can make a huge difference between a level being quite difficult and relatively easy, so it's crucial to use the right ability at the right time. Finally is the ability to grapple. This is introduced later in the game and allows the player to hook onto terrain both close and distant. It is extremely useful for moving across large distances quickly and reaching otherwise inaccessible areas. It is a really cool feature but my gripe with it is that you don't receive it until near the end of the game. I wish that you would get to begin using it a bit sooner than you do. 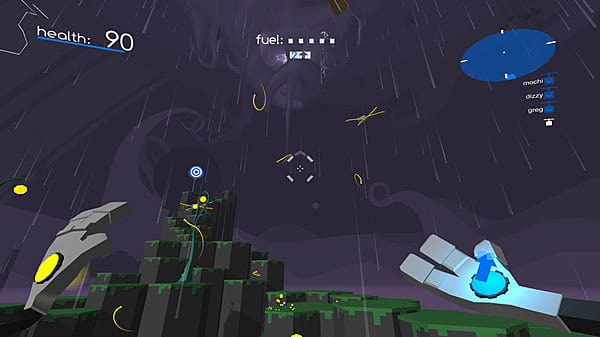 The gameplay to Cloudbase Prime is engaging, extremely fun, and wonderfully executed. The combination of the novel mechanic of moving the terrain and using it to launch yourself and enemies into the air, the different weapons and abilities, the various game modes and of course amazing boss battles, creates a gameplay experience you will never forget. 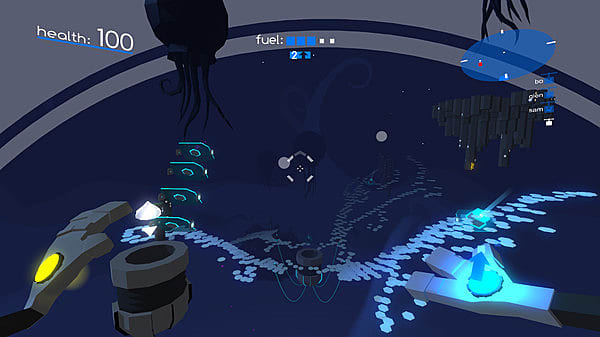 Throughout the course of the game, you venture through a series of worlds, each with their own unique environment and design -- from lavish green plains to underwater zones with giant jellyfish creatures, to a massive city. Each world is unique and beautiful to experience. As you progress through the levels, slowly you are introduced to new mechanics, such as wind tunnels that make you move at a rapid pace, temporary bridges, movable platforms and more. The worlds aren't massive either, coming in at only a few levels each -- so not a single one of these worlds overstays its welcome to the point that it becomes boring. 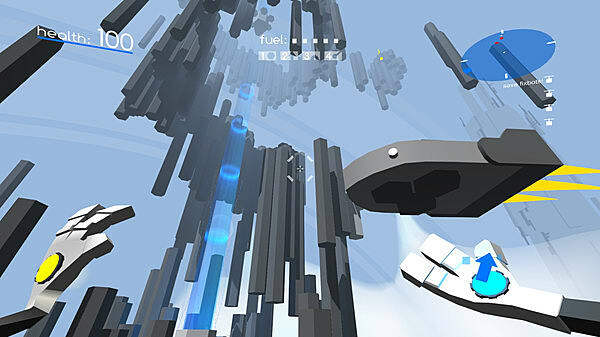 There are few games out there that I can say I have played multiple times through, but Cloudbase Prime is one of them -- and I loved every minute of it each time. 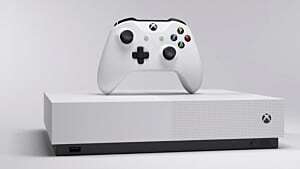 It has great gameplay, its characters are well-written and designed, and also having a great sense of humor about them. The visuals are beautiful as are the worlds, the level design is wonderful, and most of all it has an excellent plot with one of the best and most memorable finales I have experienced in years. 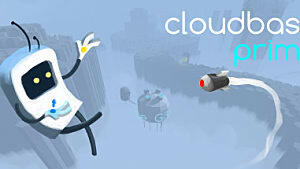 Cloudbase Prime isn't a perfect game, of course. But there are few games that are so brilliantly executed and wonderfully fun. It has an elegance that most can only ever dream of having, and I hope that more people have the pleasure to experience this absolute gem as I have. Great gameplay, a good sense of humour, beautiful visuals and an excellent plot make Cloudbase Prime a game you will never forget.